Decorative Garden Stakes: a pretty and easy garden DIY project! 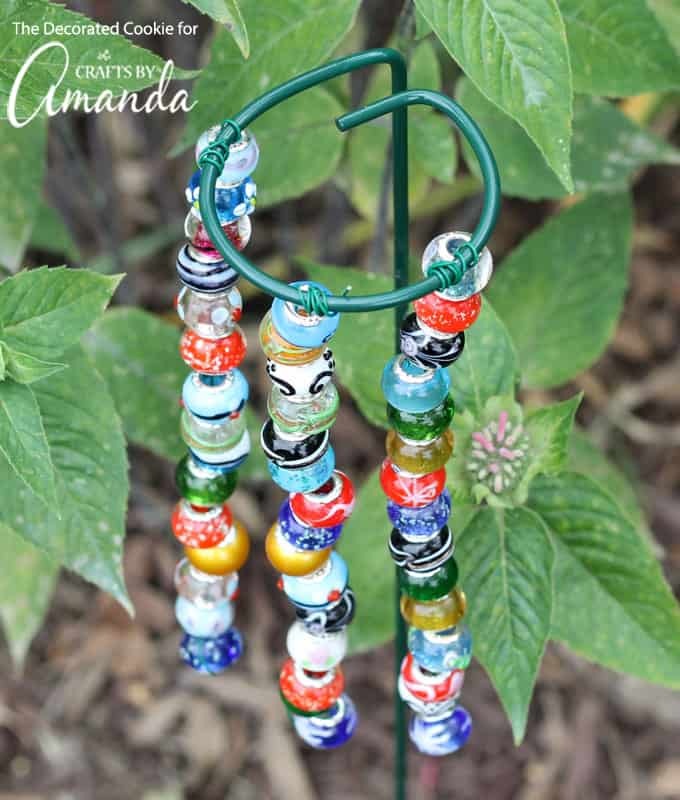 These easy DIY beaded decorative garden stakes are kid-friendly, budget-friendly, and super-easy to make. They’re a beautiful addition to your yard or garden. 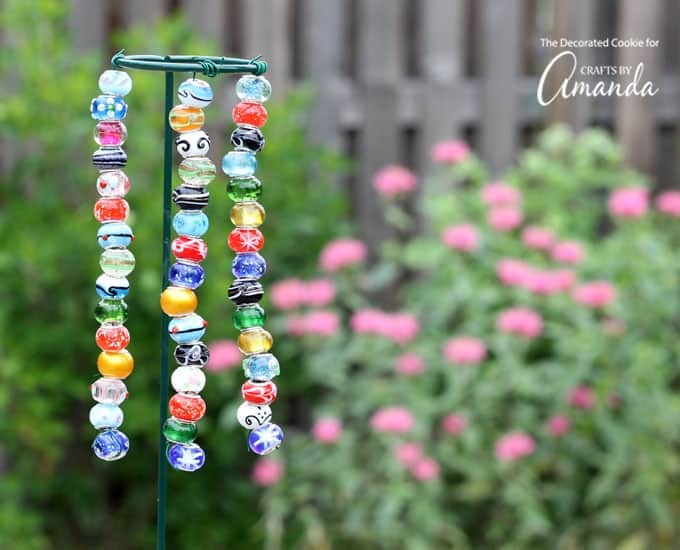 Add more color and fun to your outdoor oasis with this adorable painted rocks project as well! You only need a few supplies to make these decorative garden stakes. Grab an inexpensive plant prop and some green plant wire from a garden supply store. 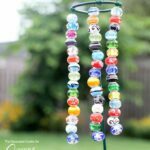 NOTE: If you prefer to purchase beaded garden stakes instead of making them, check out all the beautiful options on Etsy! 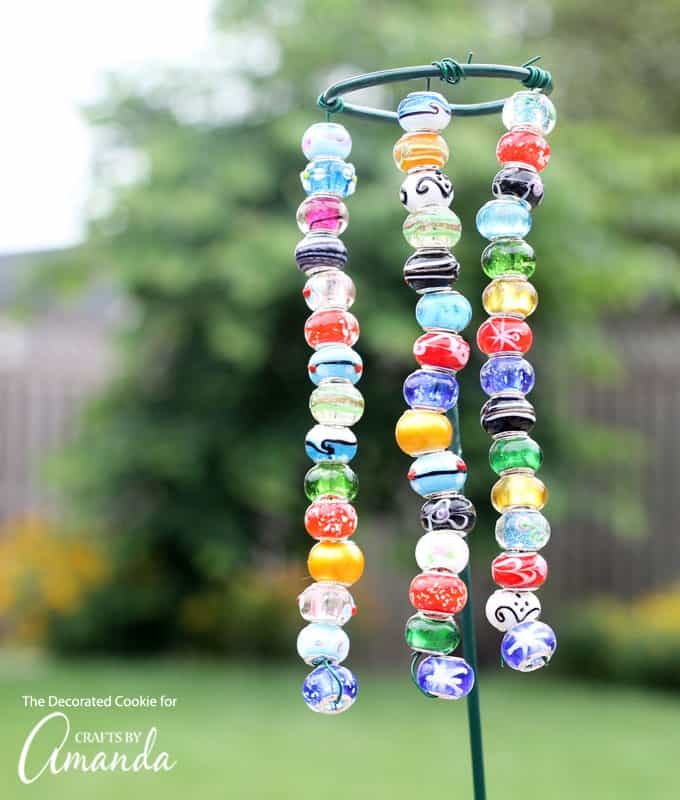 To save on the decorative beads, try heading to the craft store for sales on colorful glass beads or search the internet for bulk discounts. You’ll also need scissors that can cut wire if the type you choose does not come with a built-in wire cutter already. Do the kids want to help? Once you start a bead on a wire, the kids can do the rest themselves. Love color? 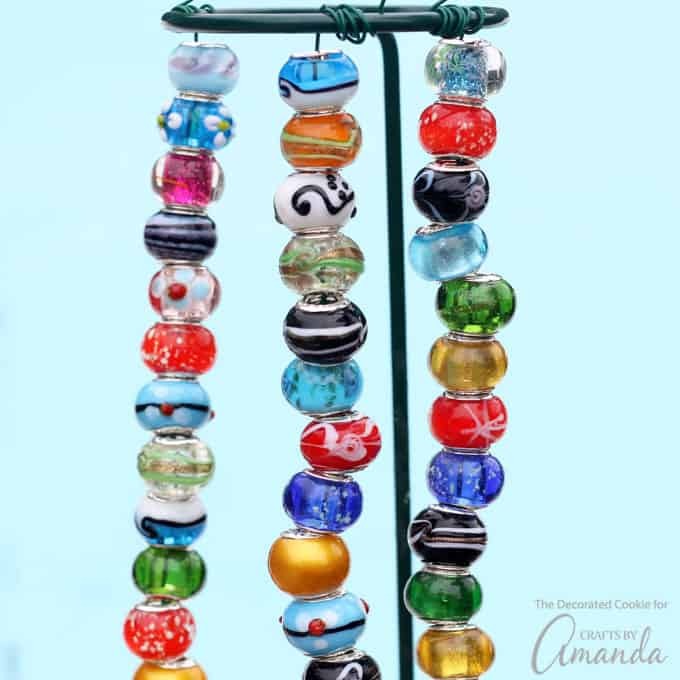 Make the strings of beads longer and more plentiful. 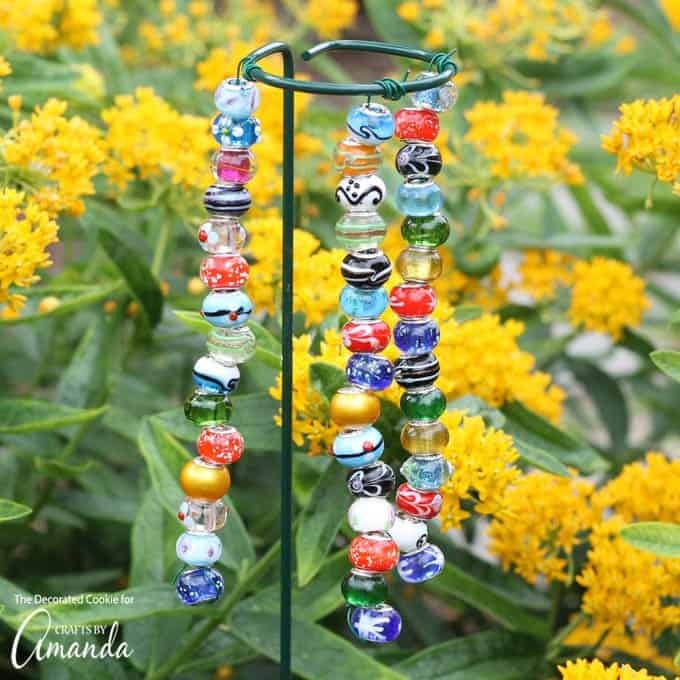 You can also choose one color of bead per plant prop and make a rainbow trail through your garden or along your front walkway. Push the garden stakes into the ground to display! I love, love, love my decorative garden stakes. I think these will be my version of the pink flamingo for many years to come. For more similar adult craft ideas you’ll definitely want to check out these Garden Rocks, this Distressed Garden Sign, How To Make A Fairy Garden and our Recycled Key Garden Markers. Happy crafting! Snip a piece of wire 10-inches long (or any comparable length you prefer). 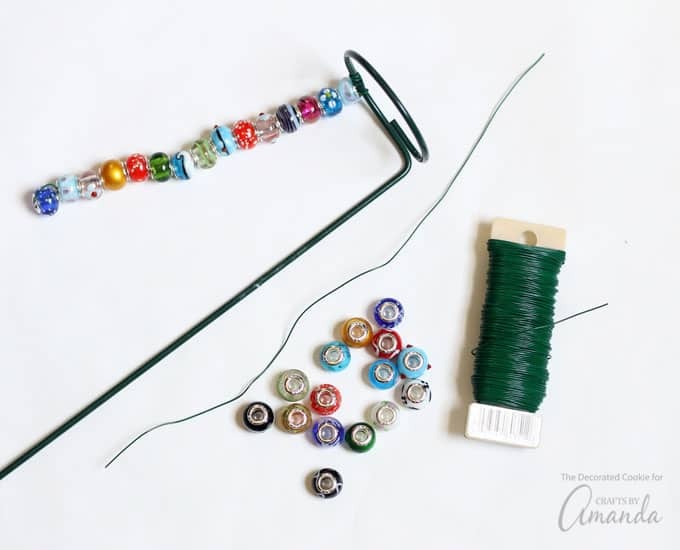 Wrap one end securely around a glass bead. Thread glass beads 6 to 6 1/2-inches along the wire. Wrap the remaining wire around the circular top of the plant prop. Dangle at least three beaded wires for each plant prop. This post was originally published on this blog on June 23, 2017. How cute is this. Im going to try this out to add some spice to my lawn. I loved the idea and it is easy to make. I am thinking of making it with 5 rows.